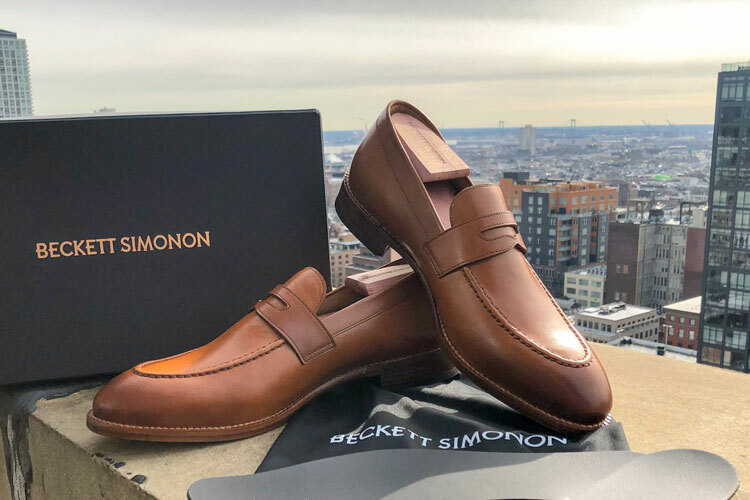 To add to our growing number of Beckett Simonon reviews following our detailed brand guide page, we thought that it was time to return to a classic style. Overall, brogues are my favourite shoe style and I must own about three of four these days. 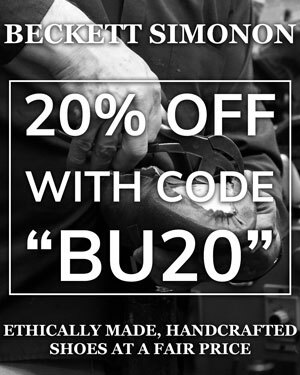 If you’ve already perused our detailed brand guide, you’ll know that all Beckett Simonon shoes are ethically handmade in their own Bogotá workshop. The Yates full brogues are crafted from full-grain Argentinian calfskin leather using a Blake stitch construction. The heel is made from a vegetable-tanned leather while the interior lining is wholecut vachetta leather. The Yates distinguish themselves from the Durant quarter blind brogue due to their aggressive and rich ornamentation. The Yates are full brogues, which you can learn more about with our detailed brogue style guide. In short, this means that the Yates features several layers of leather with all the hallmarks of the shoe style. 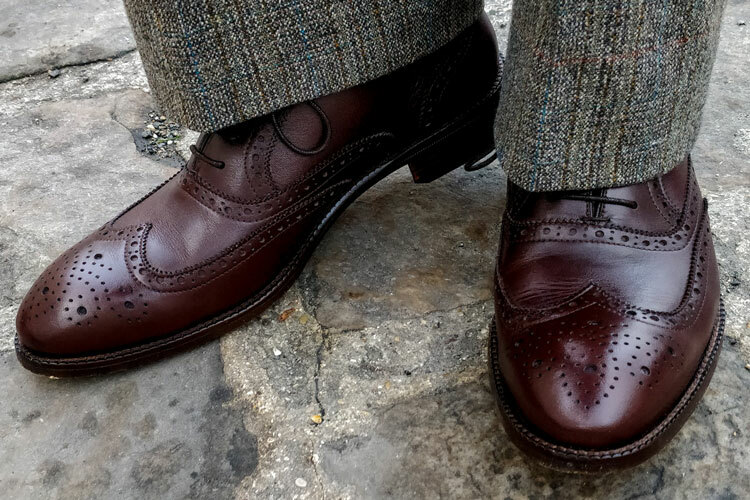 As a full brogue, the Yates have an Oxford-style closed lace throat. We’ve already mentioned is aggressive broguing by which we mean that the design features some intense ornamentation and rich detailing. Firstly, the medallioned toe cap is of a wing-tip design that reaches up to the foot’s arches. However, it’s the uppers are multi-layered and there is a second wing tip high up the vamp. Both feature strong perfing and pinking, which refers to the perforations and jagged edges. These layers edge quite close to one another and practically touch at one point. Some people may find this intense design somewhat crowded but others may appreciate rich decoration. However, this allows the lacing system to sit lower, which allows you to have a wide opening when you loosen the laces. Meanwhile, the quarter is a large, arching panel and foregoes the addition of a heel strip down the centre. Finally, my only comment on the Yates is that it’s a shame that they’re not Goodyear welted. While we have absolutely no problem with Blake stitching and its numerous benefits, brogues are traditionally walking shoes for humid climates. In fact, I am starting to have a general preference for Blake stitching as it’s more affordable, flexible and provides you with a more streamlined design. However, a brogue would be one of the rare occasions where I would prefer a Goodyear welt as it’s more water resistant and heavy duty for wet weather. As hinted above, the Yates break in very quickly meaning that you can enjoy their full comfort within just a few hours thanks to the Blake stitch construction. The footbed is quite firm but not overly hard either. If you find that it’s too tough for your taste, all Beckett Simonon shoes come with removable foam inserts for extra comfort. I’m also particularly fond of Beckett Simonon’s wholecut vachetta lining. This laborious technique means that there’s no stitching in the interior. Between this and the suede heel guard, you won’t experience any chafing when wearing them. Finally, Beckett Simonon’s last leave a bit of room in the toe box without the shoes appearing bulky. The result is a streamlined designed on the outside but a spacious shoe for your feet. Finally, Beckett Simonon’s shoes are quite true to size. I’m an EU 42 and tend to opt between either US 9 or 9.5. In this case, I opted for the US 9, which was quite comfortable. However, if you want to make use of the foam inserts, I’d recommend going for a half size above as I felt that they were a little too tight when I slipped them in. Buy The Yates Full Brogue Now! As a general rule, a dress shoe becomes more formal when featuring fewer details. For instance, a traditional wholecut shoe is regarded as one of the most formal styles. However, the colour also plays an important role in this and can create exceptions. 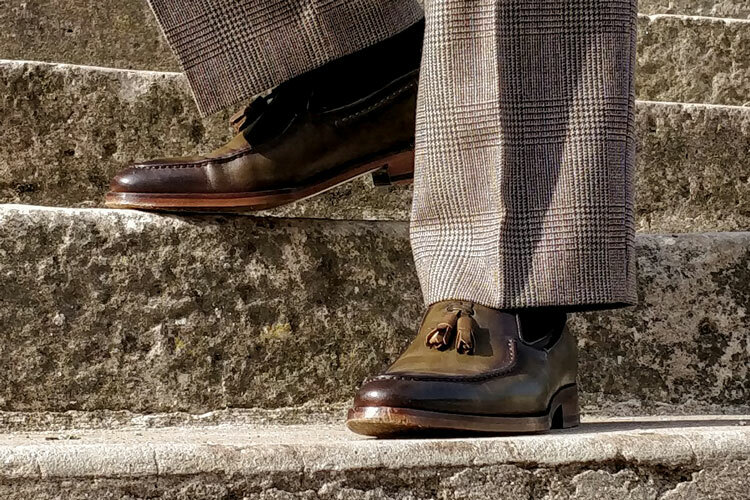 While patent black wholecuts are just about as formal as you can get, brown colours are more formal as can be seen with the Beckett Simonon Valencia that we reviewed render them more casual. Brogue shoes are generally around the lower end of the business professional dress code while blind or semi brogues are the most formal designs. Yet, the Yates brogues find themselves on the more casual end of the dress shoe spectrum due to the extensive ornamentation. In fact, the broguing is so intense that I’d say that these are best worn as business casual dress shoes. Nevertheless, you could tweak this depending on your wardrobe choice. While I happily wore them with business casual attire, I was able to boost their formality with the appropriate wardrobe. For example, I wore them with a brown tweed suit, which isn’t conventionally business attire but still quite formal. Outside of this, however, I wouldn’t say that the Yates brogues are overly formal. Indeed, you could buy them in black to increase their dressiness, but it might then be harder to style them with the right dress. Like with the other Beckett Simonon shoes that we reviewed, the Yates brogues feature an interesting information card on the underside of the lid. Those passionate about shoes will appreciate this detail where it provides information on the model number, run and the raw materials used. Furthermore, there’s a nice little booklet that recounts Beckett Simonon’s story and vision if you’re new to the brand. However, if you want to read more about this before making your purchase, you can refer to our full brand guide. As well as the booklet, the shoes come with a dust bag each, spare laces as well as the aforementioned inserts. In terms of value for money, we’re often impressed by what Beckett Simonon are able to craft and retail for less then $200. This is largely thanks to their direct-to-consumer and Group Made-to-Order strategies. 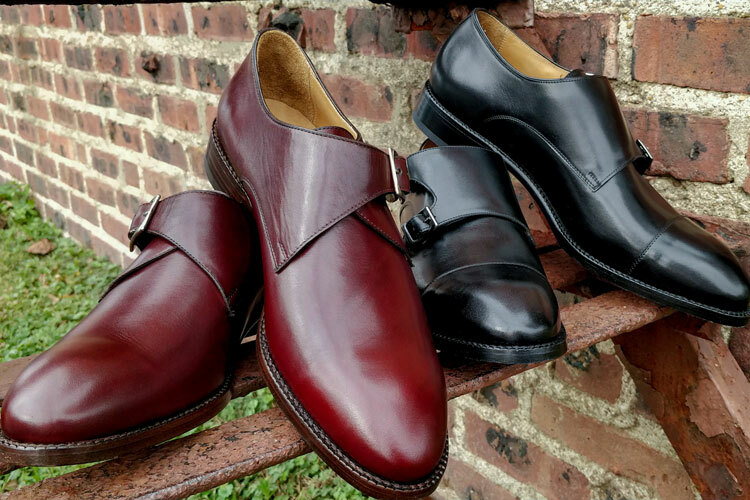 Since you’re pre-ordering the shoes before they made, Beckett Simonon will make their footwear through short-term production runs. The reduced costs in material and stock means that they can effectively reduce the price for their clients. 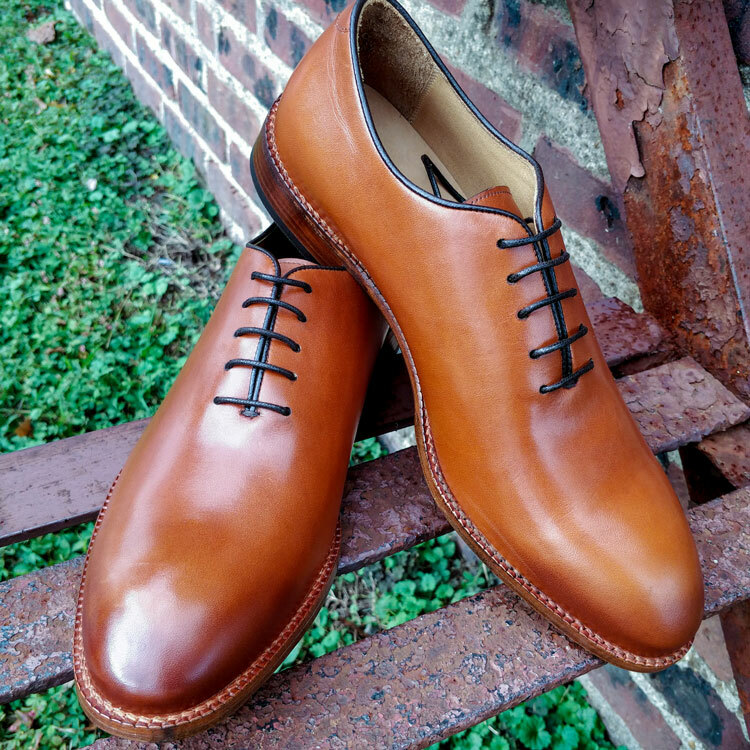 At full price, you can get a recraftable Blake stitch shoe with full-grain calfskin leather. However, you can also get 20% off with our exclusive “BU20” code during checkout, which brings the final price down to $160! If you’re looking for traditional brogue shoes, the Yates by Beckett Simonon are an excellent choice. While some might find their broguing to be too aggressive, others will love the rich detailing. Just remember that these are quite casual as brogues go due to their extensive details. Furthermore, brogues are traditionally shoes for the colder months when the weather is poor. While we do appreciate the benefits of Blake stitching, if you’re looking to wear your brogues in the wet weather, we’d encourage you to seek out a Goodyear welted shoe instead. Nevertheless, these are wonderfully affordable and exude traditional craftsmanship. If you’re looking for a stylish brogue, they’re worth keeping in mind! Reviewed by Charles-Philippe, on 29th November . "Affordable and rich on details. If you're in the market for new brogues, these are a great choice. However, don't expect the same performance when walking in the wet than a Goodyear welted shoe." That’s one good looking shoe! I’d have to agree. Shame they don’t make this shoe in my size 14 wide monster, but I’m glad Charles-Philippe gets to enjoy them.